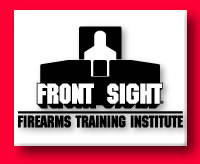 In the wake of serial terrorist attacks involving the use of hijacked airliners, one firearms training company is offering free defensive gun courses to commercial airline pilots. Piazza's offer of free gun training comes as a number of airline experts and former pilots are pushing for enhanced security and safety standards in the wake of the Sept. 11 attacks, in which two hijacked airliners were flown into each of the twin towers of the World Trade Center and another aircraft was flown into the Pentagon. The twin towers collapsed within an hour of being struck. A fourth hijacked airliner crashed in western Pennsylvania; authorities believe passengers may have overpowered the 3-4 hijackers reportedly on board. U.S. government officials have said they are placing armed deputy marshals aboard more airline flights to complement a rather small number of armed "sky marshals" who accompany mostly international flights. Arming pilots and aircrews has also been considered but has yet to be seriously discussed. "... When both pilot and co-pilot are armed and trained ... they have the tools, ability and will to defend themselves and repel the murderous intent of terrorists," Piazza said. Former airline pilots also supported Piazza's plan. "The [Sept. 11] terrorists knew that they would face no opposition to the hijacking, once they managed to get on the airplane," said Dennis Vied, a retired TWA captain with 28 years experience flying commercial airliners. "All they had to do was threaten to do something to a passenger, and they would be allowed access to the cockpit." "The terrorists knew they would face no armed opposition," Vied, a former Front Sight student, added. "We have such an abhorrence to guns that we fail to allow the good people to arm themselves for defense. I hope this is a wakeup call to America." Vied said he believes aircrews should be armed. "There is so much emphasis on prevention and precious little emphasis on the ultimate lines of defense," he said. Aaron Benedetti, a United Airlines 747 copilot and Front Sight graduate, agreed that the emphasis practiced by airlines is on compliance with hijackers, not self-defense or defense of the airplane. "We get recurrent training regarding hijacking and security procedures, but the training centers around placating and negotiating with the terrorists to safely land the plane," he said. "We are told not to make any aggressive move[s] and to work toward a calm outcome." "The World Trade Center disaster is a real blind spot in our training," he continued. "The attack reveals that perhaps the only way the pilots could have stopped it would have been to deny access to the cockpit and stop the terrorists from taking over the controls of the plane. ..."
Benedetti said he recommends locking the cockpit and allowing the copilot to guard the cockpit door with a gun. Mark Donovan, a pilot for Southwest Airlines, noted that the "political climate in commercial aviation prior to the World Trade Center attack has not been conducive to arming pilots." "In fact, just the opposite has occurred," Donovan said. "Airlines have disarmed pilots to the point where a terrorist with a box cutter can take over control of a plane because no one is armed to defend the plane or themselves." He noted that despite disarming pilots, "numerous federal agencies are allowed to carry a gun on commercial airlines, including such dubiously qualified agencies as the Bureau of Engraving and Printing," a division of the Treasury Department, "the Department of Agriculture, Department of Education and the Smithsonian Institute."